In December 2017, the eurozone’s current-account surplus reached an all-time high of EUR391 billion (USD483 billion), prompting the usual calls for Germany to “do more” to resolve the imbalance through fiscal policy. But such policy prescriptions are misguided, because they do not fully consider the role of the financial account in the balance of payments, or that of monetary policy in influencing international financial flows. To be sure, Germany accounts for the largest share of the eurozone’s external surplus, and three related arguments are typically used to justify the call for German authorities to use fiscal policy to address it. For starters, because the current account reflects the difference between a country’s savings and investment, Germany is assumed to be saving too much and investing too little. Investment-oriented fiscal stimulus, then, would boost domestic investment and lower savings at the same time. Moreover, a looser fiscal policy would stimulate German domestic demand, resulting in higher imports and a smaller current-account surplus. And, finally, because Germany’s starting fiscal position is fundamentally strong, an increase in German imports would have positive spillover effects for the region. From Germany’s perspective, the most obvious objection to these arguments is that it is not the German government’s responsibility to manage international demand. In the aftermath of the various bailouts associated with the eurozone financial crisis that began in 2009, the notion that German taxpayers should foot the bill for regional support does not sit well with the country’s politicians or public. More fundamentally, the typical case for German fiscal stimulus reflects economists’ failure to appreciate the potentially dominant role of financial flows on the balance of payments. Just as most macroeconomic models do not adequately account for the financial sector and its associated flows, nor do contemporary balance-of-payments analyses. The conventional approach to the balance of payments assesses the current account as a function of comparative macroeconomic conditions and exchange rates, and then considers the financial account as a consequent balancing item. There is a distinct order to this method, whereby the current account always comes first, and the requisite offsetting capital flows come second. But this approach implicitly neglects the fact that the current and financial accounts are determined simultaneously, and that causation works in both directions. So, why not reverse the order? After all, there are times when it may be more appropriate to consider countries’ comparative financial conditions and accompanying financial flows first, and then interpret macroeconomic outcomes and the current-account balance in that context. In fact, the biggest recurrent shock to the German balance of payments has come not from the real economy, which would affect the current account, but from financial conditions. The European Central Bank has been pushing policy and market interest rates well below their equilibrium levels. And, regardless of whether the ECB’s asset purchase programme (APP) has been effective from a real economy perspective, its policies have had a clear impact on domestic financial conditions and international financial flows. According to the Bundesbank’s March 2017 monthly report, “the APP has radically transformed German portfolio investment in recent years”. Similarly, in July 2017, Benoît Coeuré, a member of the ECB Executive Board, acknowledged that, “the ECB’s APP does appear to have triggered substantial capital flows across borders”. The data confirm these views. In the 12 months to December 2017, Germany’s current-account surplus was EUR257 billion (nearly 8% of GDP), and net portfolio investment outflows were EUR206 billion (about 6% of GDP). More broadly, regional balance-of-payments data show that eurozone investors have been the largest foreign purchasers of US Treasury securities since the APP began. Clearly, Treasuries have been substituted for lower-yielding securities sold to the ECB. Given that extraordinarily loose monetary policies are causing unprecedented — but predictable — distortions in German and eurozone financial accounts, it seems ill-advised to suggest that German fiscal policy also be loosened to address the current-account imbalance. Even if Germany did ease its fiscal policy, German investors would still be inclined to place funds abroad, so long as domestic interest rates remain exceptionally low, the ECB remains a willing buyer of high-priced securities, and yields are more attractive elsewhere. 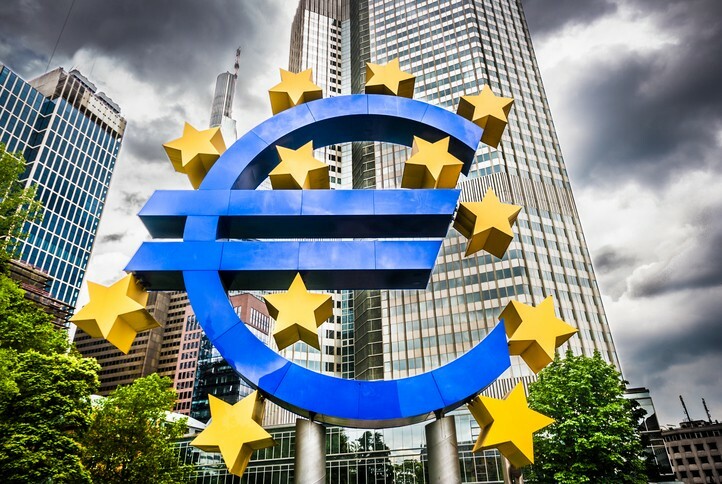 When the ECB begins to alter course and international financial flows respond, there will be adjustments in the European and German balance of payments, and today’s large current-account surpluses will contract without German fiscal stimulus. Economists will no doubt point to currentaccount positions to explain what is happening. But the determining factors will lie elsewhere, in what could be dramatic changes to financial flows. Looking ahead, investors would be wise to consider an augmented balance-of-payments analysis for the eurozone in 2018. The place to start is with financial flows, not with the current account.